Hospitals that serve large uninsured populations in Texas stand to lose critical funding if the state can’t convince the federal government to continue helping with the cost, doctors and health advocates told the state health department Thursday. With the expiration date of a five-year, $29 billion program approaching, the Health and Human Services Commission will attempt to negotiate a renewal of federal funds to help reimburse hospitals caring for the uninsured. Rural Texas hospitals serve large uninsured populations and rely on the money to keep from closing, Grace Chimene, a pediatric nurse practitioner, told a panel of HHSC administrators taking public testimony on the need for an extension. The money was originally intended to help Texas transition over five years to an expanded Medicaid program under the Affordable Care Act. But Texas officials decided not to expand Medicaid, the state-federal insurance program for the poor and disabled, leaving uninsured nearly one million residents who would have been eligible for coverage under the expanded program. That was a rebuke of the Obama administration, which is now considering whether — or to what extent — it will renew the matching funds. Federal officials told HHSC in April they would consider Texas’ refusal to expand Medicaid when determining whether to renew the federal matching funds that supplement local dollars. 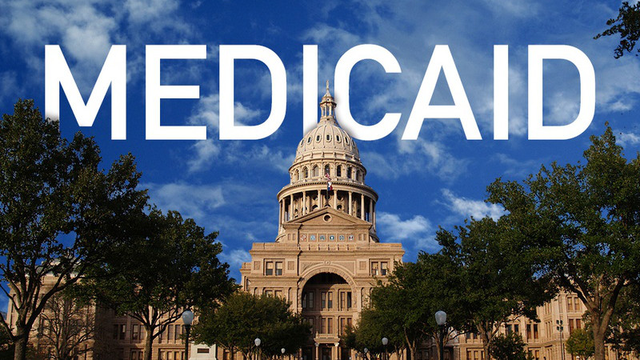 Some at the meeting said they worried the federal government would reduce Texas’ uncompensated care funding because the state had refused to expand Medicaid. In addition to reimbursing hospitals for caring for the uninsured, some of the $29 billion also helps fund innovative projects to help care for low-income populations. Tom Watkins, a spokesman for March of Dimes, an organization that supports infant health care, said the money helps fund critical services for women without coverage. Many of the adults in the coverage gap are women who will only qualify for Medicaid if they become pregnant, he said. The month-long public comment period for HHSC’s proposal to have the funding extended another five years will end August 5. The deadline to reach a deal with the federal government is September 30. However, many who testified said Medicaid coverage expansion itself is more important than extending the five-year program, and urged the HHSC to pressure the government to expand coverage. HHSC must submit its request for extending the waiver by the end of September. If it fails, the money would run out in September 2016.